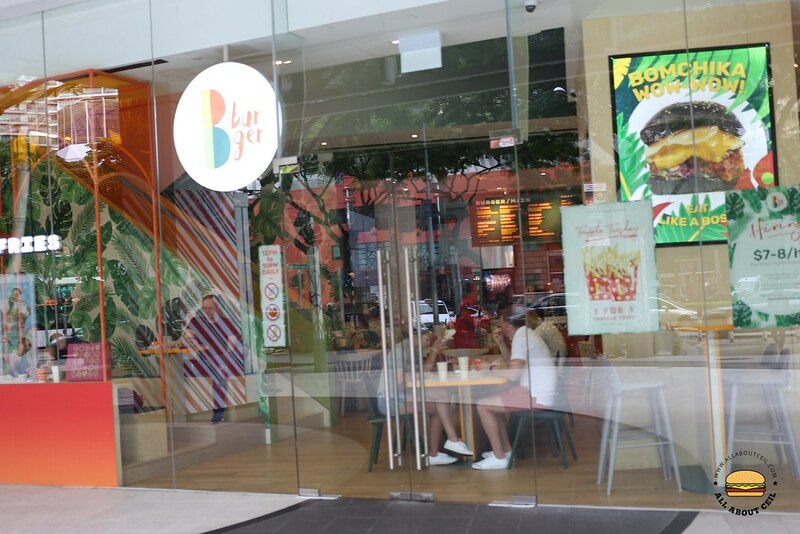 B Burger is a newly opened burger joint by Benjamin Barker Group, a homegrown menswear label, known for its tailored suits. 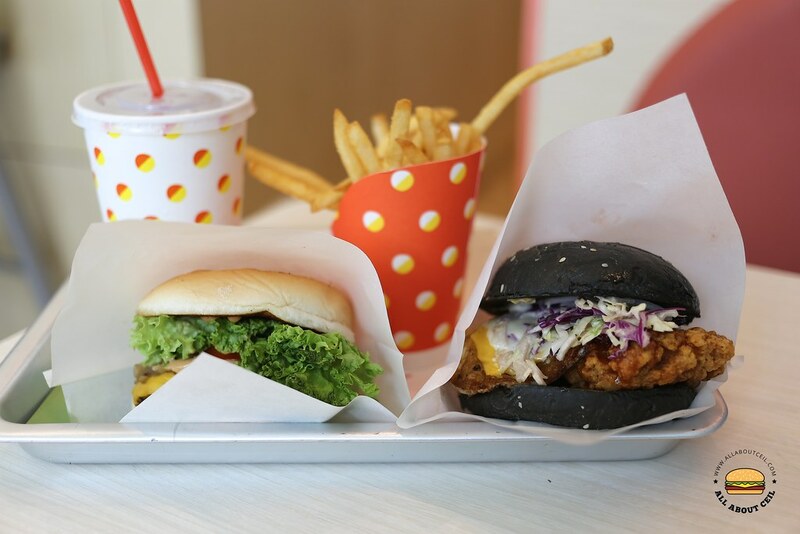 It is located on the ground floor of Orchard Cineleisure, serving burgers of the combination of classic American with Japanese flavors to set themselves apart from the others.The burgers are made upon order with freshly handmade patties. I was there on a Saturday for lunch, it was not as crowded as I expected it to be. I decided to go with their single B Burger ($6.90), Bomchika Wow Wow Burger ($10.90) and added $3.50 to include a side and drink. I paid $23.10 in total and I was given a pager for collection later. I waited for about 10 minutes to collect it. 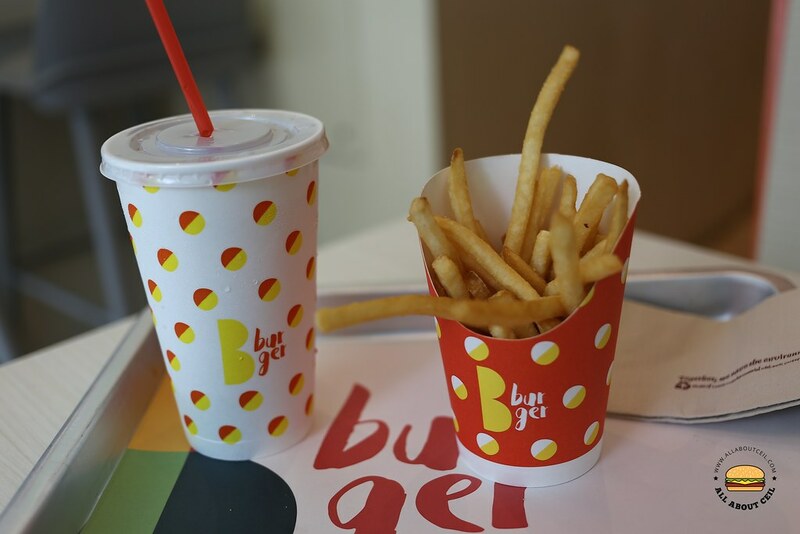 I was asked for the choices for drink and side which I opted for coke and fries, the other choices for sides are Nacho Soup and Wafu Ramen Slaw. 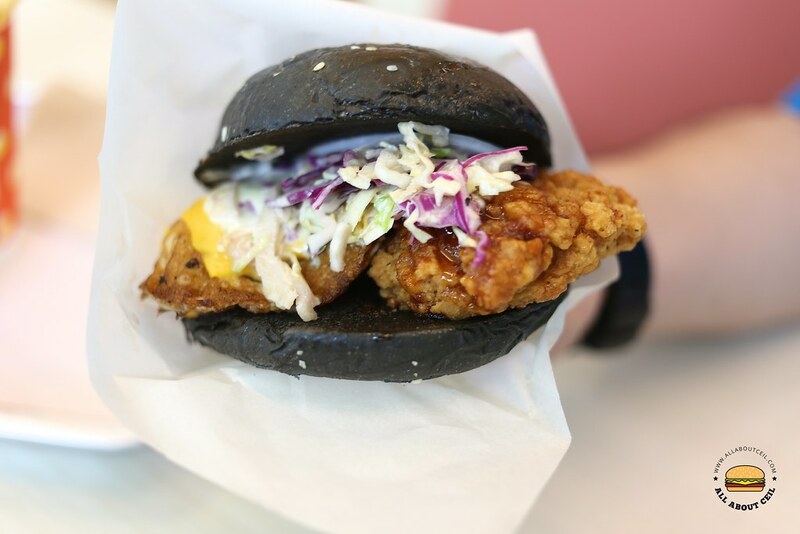 Bomchika Wow Wow Burger ($10.90), it consists of 2 pieces of nicely fried chicken patties, with a fried egg, cheese, wafu slaw, sriracha honey, truffle mayo and the secret B sauce, served in between charcoal buns, it is quite similar to the Karate Burger ($8.90). Apparently, I could only taste the truffle mayo, not so much of the sriracha honey and the B sauce. The yolk of the fried egg was already broken and flowing, it was a bit messy. 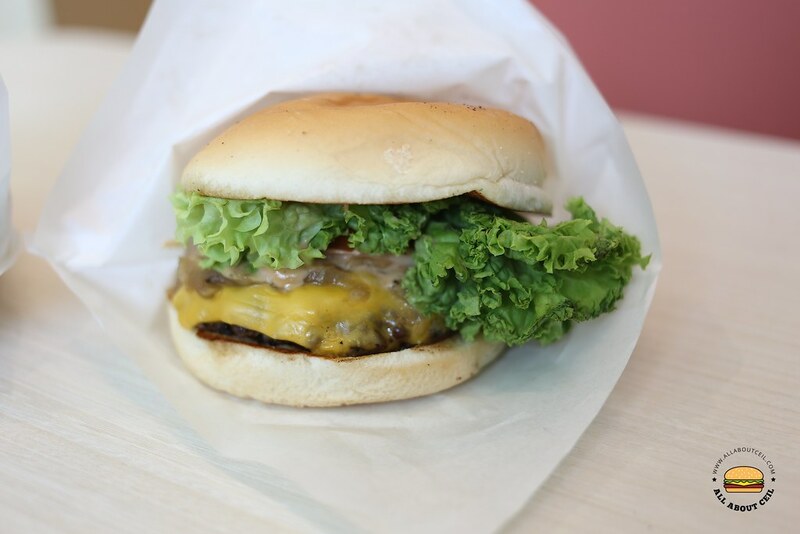 B Burger ($6.90), it consists of a beef patty, daikon pickles, caramelized onions, cheese, lettuce and B sauce. It tasted just fine and we did not like it as much. 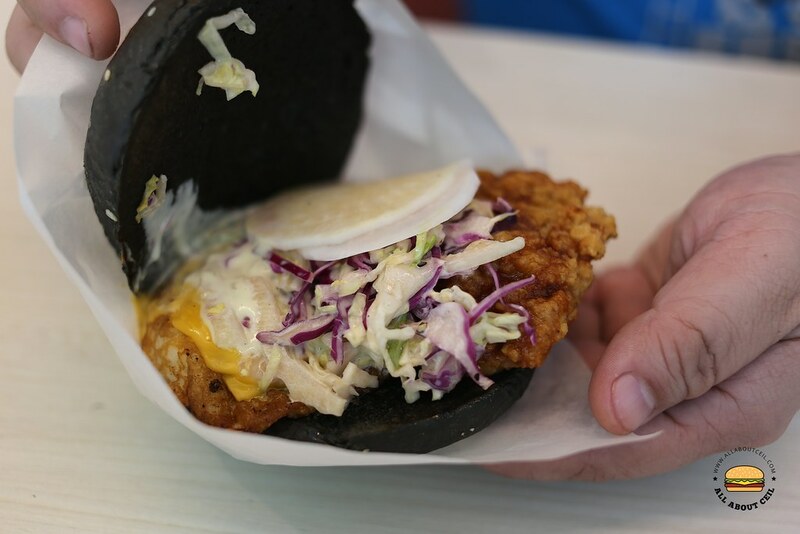 They aim to be the Shake Shack of Singapore but they are still far from achieving it. My dining companion compared their burgers with "Burger Up", another local burger joint and he prefers the latter.